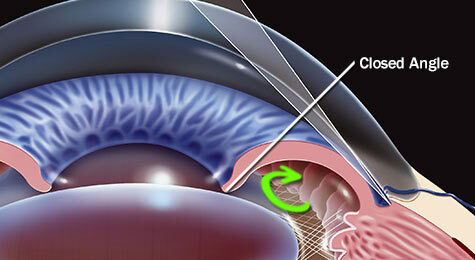 Most types of glaucoma typically cause no pain and produce no symptoms until noticeable vision loss occurs. 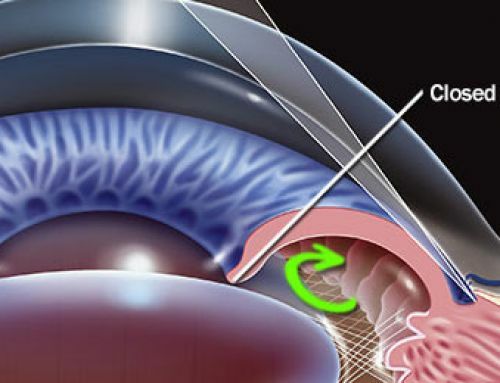 But with acute angle-closure glaucoma, symptoms that occur suddenly can include blurry vision, halos around lights, intense eye pain, nausea and vomiting. 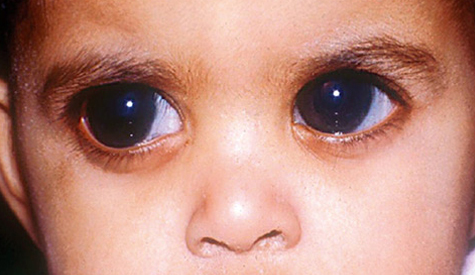 If these symptoms occur, the people must see an eye care practitioner or visit the emergency room immediately so steps can be taken to prevent permanent vision loss. 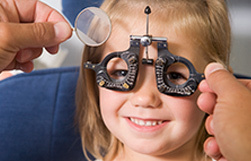 Intraocular pressure (IOP) is measured with an instrument called a tonometer. Some tonometers blow a puff of air onto the eye’s surface. Others gently touch the surface of the eye after it is numbed with eye drops. An abnormally high IOP reading indicates a problem with the amount of fluid (aqueous humor) in the eye. Either the eye is producing too much fluid, or it’s not draining properly. 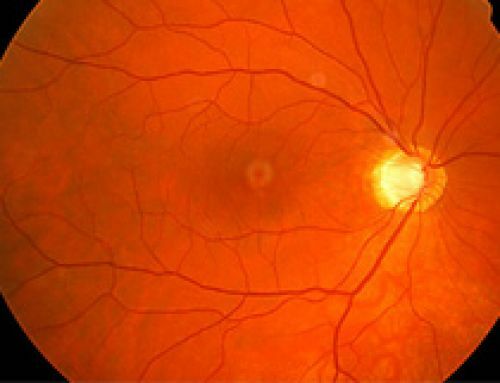 If the IOP is higher than 30 mmHg, the risk of vision loss from glaucoma is 40 times greater than someone with intraocular pressure of 15 mmHg or lower. This is why glaucoma treatments such as eye drops are designed to keep IOP low. 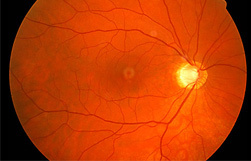 Visual field testing is a way for eye doctor to determine if there is an experiencing vision loss from glaucoma. Visual field testing involves staring straight ahead into a machine and clicking a button when notice a blinking light in the peripheral vision. 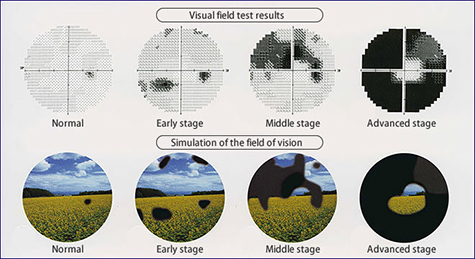 The visual field test may be repeated at regular intervals to to be detected possible developing blind spots from damage to the optic nerve or to determine the extent or progression of vision loss from glaucoma. 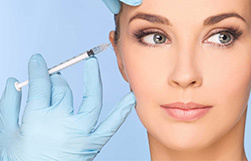 Gonioscopy also may be performed to make sure the aqueous humor can drain freely from the eye. 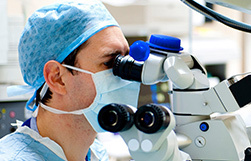 In gonioscopy, special lenses are used with a biomicroscope to enable eye doctor to see the structure inside the eye (called the drainage angle) that controls the outflow of aqueous and thereby affects intraocular pressure. Ultrasound biomicroscopy is another technique that may be used to evaluate the drainage angle.